Jim Gaffigan has a stand-up routine from years ago where he declares: “I’m a vegetarian…it’s just that I eat beef and pork and chicken…but not fish because that’s disgusting”. It’s humorous because it cuts across the very definition of vegetarianism. The character he presents clearly doesn’t understand what it means to be a vegetarian. It strikes me sometimes that a lot of Christians are like that when it comes to the Gospel – the Good News. A lot of times if I ask the question: “What is the Gospel?”, I get a variation on the idea that Jesus died to save us from our sins so that we can go to heaven and not hell when we die. It’s not that I disagree with any of that – but I’m not sure that really captures the heart of what the Good News really is because the focus is placed on what happens after this life. This Sunday we’ll be reading Mark 1:14-20 as we continue going through that account of Jesus. In v14, we abruptly find out that John the Baptist has been arrested and Jesus has started publicly announcing God’s Good News. We’ve noted before that the word euangelion, εὐαγγέλια, was not unique to Christianity. It was a word used to announce good news from Caesar, or announce his birthday, or declare a victory in battle. What does Jesus say that sets the Good News that He preaches apart from the good news of Caesar? Who is the center and focus of this Good News? In v 15, Jesus explains what the Good News is and what our response should be. Notice the words he’s saying: The time has COME, The Kingdom of God is NEAR, REPENT and BELIEVE. Follow the links on those words and consider what they mean. Using the definition of the Greek words, write what Jesus is saying in your own words. Read Daniel 2, especially v 44 – What do you think the people of Galilee were hearing when they heard the Good News proclaimed by Jesus? When Jesus calls his first disciples in v16-20, they respond immediately. 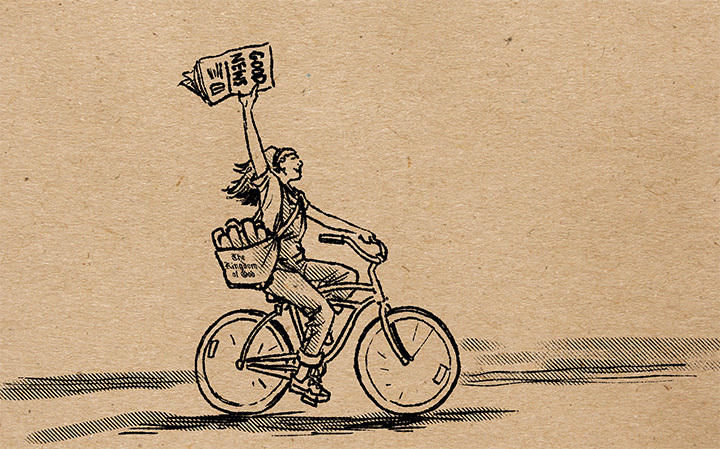 What does their response tell us about what hearing the Good News demands of us? What would it look like in our own lives to follow this example of Peter, Andrew, James and John? How would you describe the priorities their response symbolizes? “Now, people have gotten cynical about this section, wondering about the abruptness of it – ‘what would make these guys respond so quickly to a rabbi like this?’ But, there ARE historical factors here… we need to understand the situation these guys were in. We tend to think of these fishermen from the standpoint of a free-market, capitalist society, like WE live in. We imagine a nice little family business where they catch fish for themselves and sell the surplus to the local market. We view them as middle-class, blue collar Joes. But we’re wrong. There was no free-market capitalism in the world run by the Roman Empire. Rome ruled the known world – and sure, they brought roads and aqueducts and peace to the region…but they also brought the demands of the Roman elite from Caesar at the top to his agents and governors like Herod Antipas, the ruler over the Galilee region, and all the layers of bureaucracy in between. 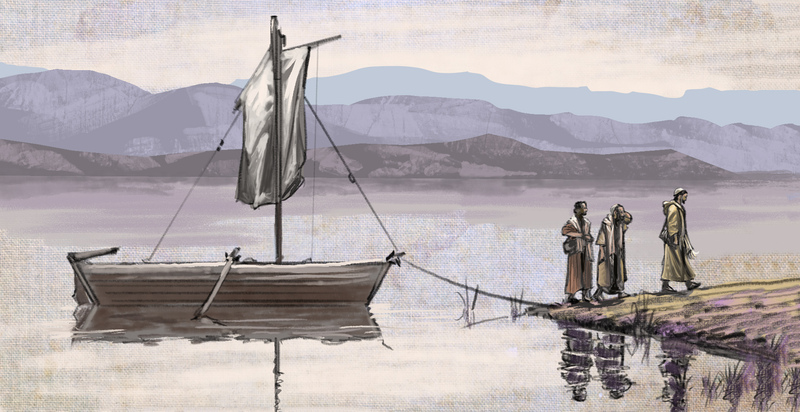 The sea of Galilee was no longer localized as a source dietary staples for the people who lived there – the sea of Galilee belonged to Caesar – nobody was going to fish there unless he approved it. Fishing leases were required, and taxes and tolls for ports were exorbitant. Everyone was taking a cut of both the fish AND any potential profit to be made from them. So local fishermen found themselves in an economic free-fall – they were at the bottom of this elaborate financial hierarchy. They had a trade that had been handed down through generations but now were tantamount to slave-labor …they had no hope of escape from this economic oppression. Along comes a Rabbi who declares the time has come for God’s kingdom to break in on things. And they’re thinking…well, what would they be thinking, what might they have imagined? 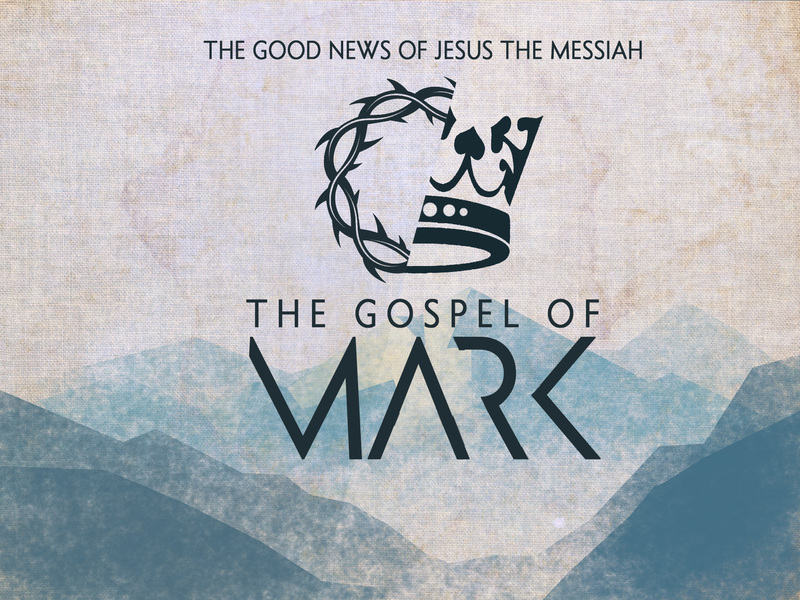 This Sunday we will begin a new study in the Gospel of Mark. I am someone who believes that, as the church, it’s important to revisit the life and teachings of Jesus, just to be sure we’re tracking properly. The Gospel of mark is the shortest of the synoptic gospels, and according to surveys, the least popular of all of them. I think that’s a shame. Mark rocks, in my opinion. How would you explain what the Good News about Jesus the Messiah is? The writer of Mark wastes no time in getting us into the action. V2-3 introduces us to the expectations of Israel to set the stage. He quotes from Isaiah and Malachi passages that were meant to comfort the Jewish people who had gone into Babylonian exile that the Lord would return to his temple one day. God gave them a sign to look for – a messenger would come and prepare the way for the Lord’s appearance. Why do you think it was important to connect John the Baptist with the promised sign? How can this encourage us about trusting God’s promises? In v4-6 John is described, and he is one odd dude. He definitely didn’t follow the advice of today’s experts on how to attract people to your movement. What does John’s dress, diet and location speak of to you? Why do you think people were so attracted to John’s message? What can we learn from that about our own ministry and church? When John speaks in v7-8, he has a singular topic in view. Jesus. John is almost over-the-top in trying to pronounce the distinction and superiority of the coming Messiah. In what ways can we follow his example? As we seek to minister God’s love to people, how can we keep our focus on Jesus without becoming self-depreciating? What do you believe John was describing when he said Jesus would baptize withe the Holy Spirit? I’m really stoked to get back to posting in Wonderwhat! I’m looking forward to this study – I hope you’ll come to love Mark as much as I do! See you Sunday! 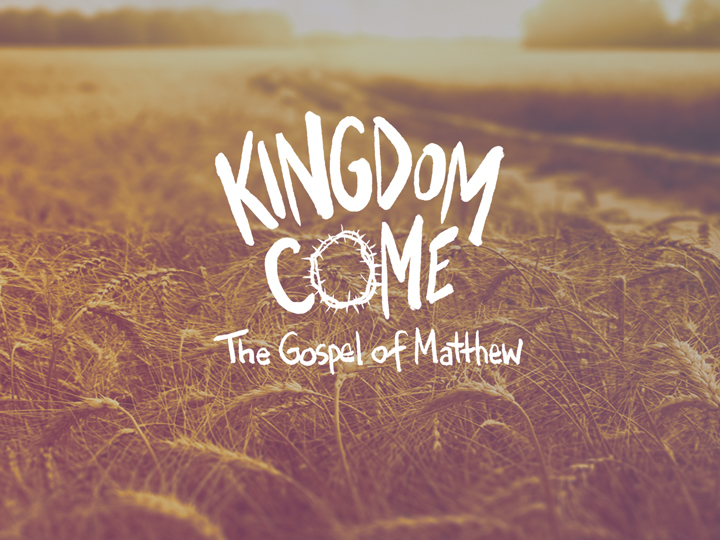 This Sunday we’ll be starting a new study in the gospel of Matthew! We’ll be reading all of chapter one. I’m pretty stoked about this as it’s my second time through this gospel. I know it can be a disappointing shock when you begin to read this story and realize it begins with a long genealogy. Not the exciting start we’d hoped for, but an important one for establishing Jesus’ claim as Messiah. The expected Messiah was most certainly supposed to be Jewish, and from the family line of King David. The list of names that Matthew provides establishes just that. Now, pay attention to the names of the characters in this list. Look up Tamar and Judah. Do some research on Rahab and her occupation; Ruth and her origins. What event launched David and the mother of Solomon in thier relationship? Explore the lives of all those descendants of Solomon and look at the epitaph that they left behind, including Solomon himself. Does this look like a squeaky clean list of characters? Do you spy, with your little eye, any skeletons in Messiah’s closet? What does that tell us about God’s kingdom and who it chooses to work through? How can that combat any shameful past we may have? V 21 and v23 give us names that declare mission and the nature of the mission of Messiah. What do those names mean to you personally? Hey – the Bible Project has done a set of WONDERFUL introduction videos that lay out and explain the structure and emphasis of Matthew’s gospel. Please take the time to look at them in preparation for this study! Hope to see you Sunday! Last summer I was struggling with my weed-eater. I had come to the conclusion that the spool which held the string was old and faulty and needed to be replaced. I tore the whole assembly off the handle and ripped open the packaging on the replacement head and started trying to attach it to the trimmer. Sweat was pouring down my face and into my eyes as I tried and tried to align the new spool properly onto the shaft of the trimmer, but it just wouldn’t work. Then it dawned on me. I had the wrong replacement part. I had wasted hours and expended so much energy, only to realize I was trying to attach the wrong thing. Ever been there? Hopefully not – I trust you’re smarter than I. There’s nothing worse than putting a lot of effort into something and realizing, too late, that it was all for naught. That’s something John will be warning us about on a spiritual level as we finish out 2 John in our study called Truth or Consequences. We’ll be reading 2nd John 1:7-13. John spent the first part of his letter encouraging us to live in love – then the last part of his letter seems to get a little harsh. How can we reconcile his defense of the gospel of Jesus and his challenge to be loving? Does loving others require us to abandon a claim to a singular truth? Why or why not? What does John encourage us to “watch” in v8? What is his emphasis concerning how his warning is applied? 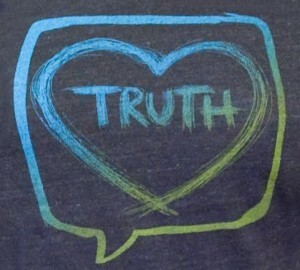 How does that help us understand the balance of loving tolerance and holding the truth? The deceptive doctrines he’s warning about are most likely ancient forms of “Christian Gnosticism” – it’s good to have a grasp of what his context was. In the ancient world there were no motels or formal travel accommodations. Traveling ministers could only spread their message by relying on the hospitality of local churches. They would be housed, fed and blessed – that is, encouraged. If those systems were removed, the teacher would not be able to continue spreading his views. Given that context, how do we understand what John is telling us about letting false teachers into the home or blessing them? This study will require some critical thinking on our part as we press some hard questions to the assumptions our present culture has made concerning love, tolerance and truth. Hope to see yez there!